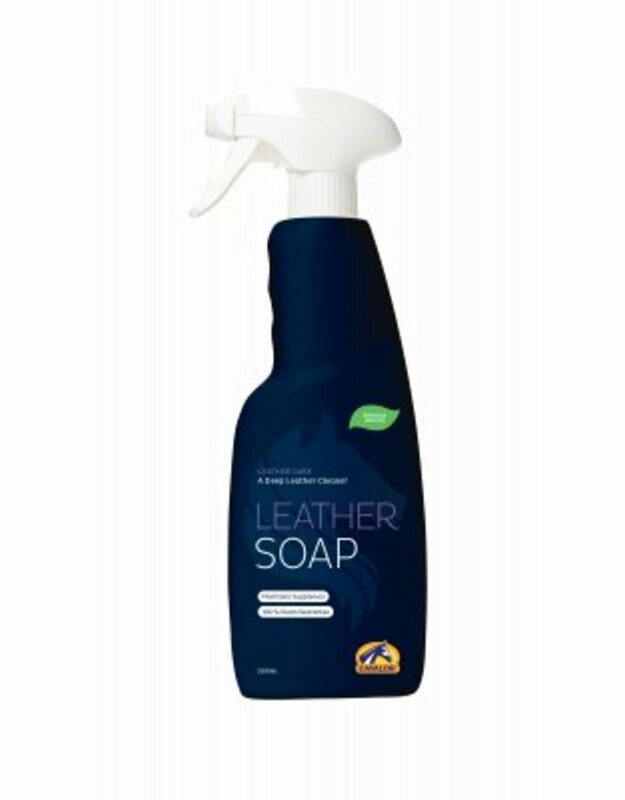 Cavalor Leather Soap is a glycerine-based liquid soap for the intense cleaning of leather equipment such as saddles, bridles, leather harnesses, jackets, shoes etc. Glycerine ensures intensive leather cleaning. Cavalor Leather Soap nourishes the leather and makes it supple without loss of strength. Try using Cavalor Leather Shine to grease the leather products without makeing them slippery, for the optimal care of your leather equipment. Firstly, remove any dirt from the leather equipment. Apply Cavalor Leather Soap with a moist sponge and rub it into the leather thoroughly. Polish after drying with a cloth or soft brush to remove any white soap residues and make the leather shine again. 500ml bottle and 3 litre bottle.